Our Factory is 38Km away from Jiujiang port; 95Km away from Nanchang airport. It only takes about 60 minutes from Nanchang airport to our factory by car. JIUJIANG port is an inland port, which located in the downstream of Yangtse river(at the north or Jiangxi Province in China). 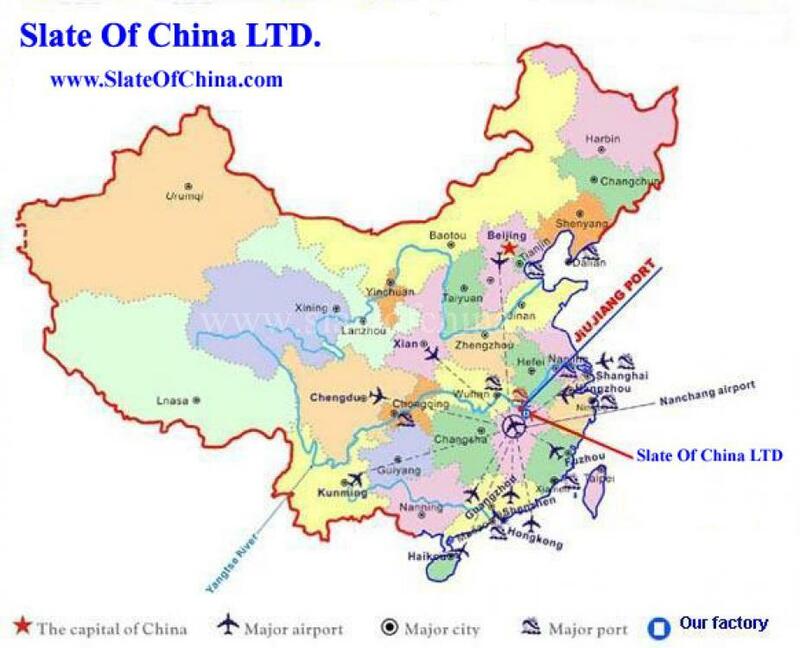 From Jiujiang port,via Shanghai, our slates will be dispatched every corner of the world. We welcome customers all over the world visit us and source the opportunity in our Top-Quality slates.